FORGET about the flower beards or beard baubles and think of a snowman sculpture instead, as one man turns his lengthy facial hair into bizarre, yet festive, works of art. Isaiah Webb, better known as 'Incredibeard' on the internet, decided to grow his beard and then build sculptures with it. 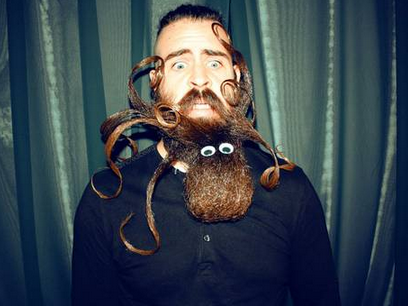 Now, his creativity with facial hair has found him fame on the web. The 30-year-old from San Francisco hasn't clean-shaved in 16 years and his beard has been left to grow for the past two years, making him a highly creative beard sculptor. 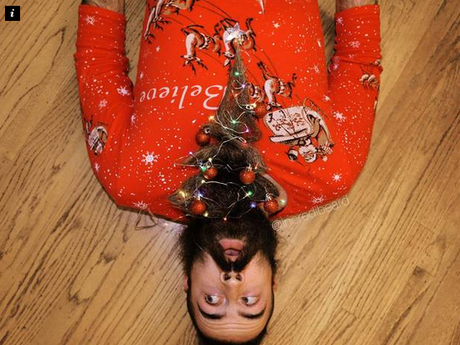 From a Christmas tree to an octopus, Webb posts pictures on Tumblr and Instagram every Monday under the hashtag #Monbeardday. Each beard style has a motif. Yes, that's right. On Thanksgiving, for example, he created a cornucopia filled with harvested vegetables and during the festive season he's created a snowman and a Christmas tree so far. The design ideas come mainly from his fans, who suggest ever more outlandish sculptures, and somehow -with help from his wife- Webb pleases followers with voluminous beard designs - and has even posted step-by-step videos. The inspiration to grow a lengthy beard, however, come from one of his ancestors, Jay Gould, "a railroad tycoon with a pretty awesome beard, and we actually look alike in many ways". "Maybe one day I will be able to make a few billion dollars as a beard tycoon," he told Mashable. He's said that he has now built a father-son kind of love for his beard. He told MailOnline: "The greatest and most profound thing a man can do is grow a beard. A real beard (one not grown from hormonal imbalance or steroids) is as unique to men as childbearing is to women. "You'll even start having nightmares of shaving it off by accident. After six months, you'll never want to be alone - I mean clean-shaven - again." 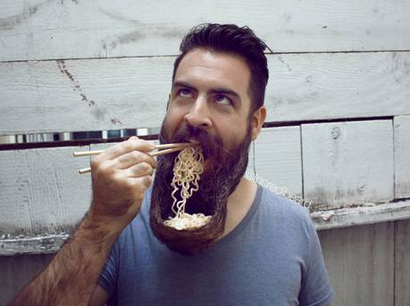 Is this the most epic beard in all the land?